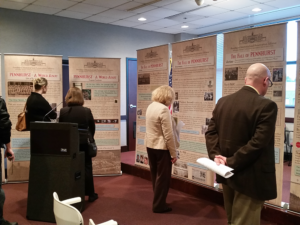 The traveling exhibit “The Pennhurst Story—Tragedy to Disability Rights” will be on display at InVision Human Services from 9 a.m. to 5 p.m. on October 2, 3, and 4. InVision is hosting the exhibit to mark its 25th year providing services. The former Pennhurst State School and Hospital in eastern Pennsylvania closed in 1987. The documentary i go home, detailing the history and struggles of those with intellectual disabilities, focuses particularly on Pennhurst and will be shown during the exhibit. InVision is at 12450 Perry Highway Wexford, PA 15090. For more information, call 724-933-5100.